Track and change your speaking and breathing habits in real time. 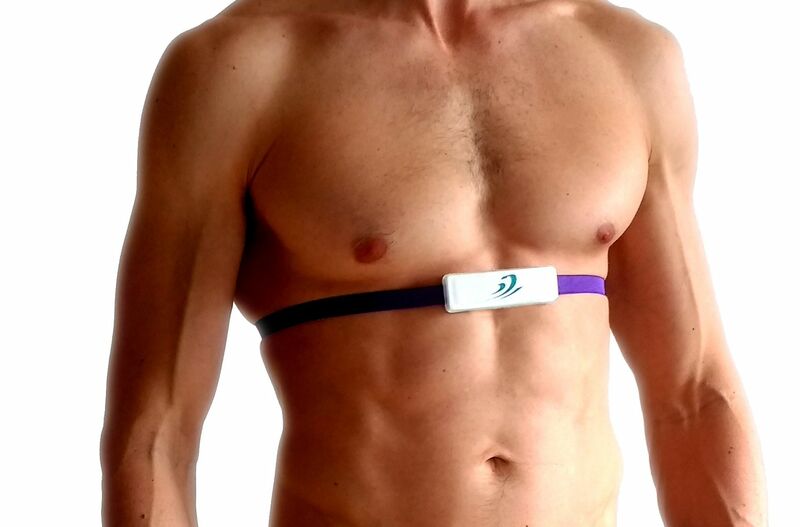 Comfortable belt around the chest that tracks "your" own particular breathing and speaking habits during the day, as well as other physiological indicators. 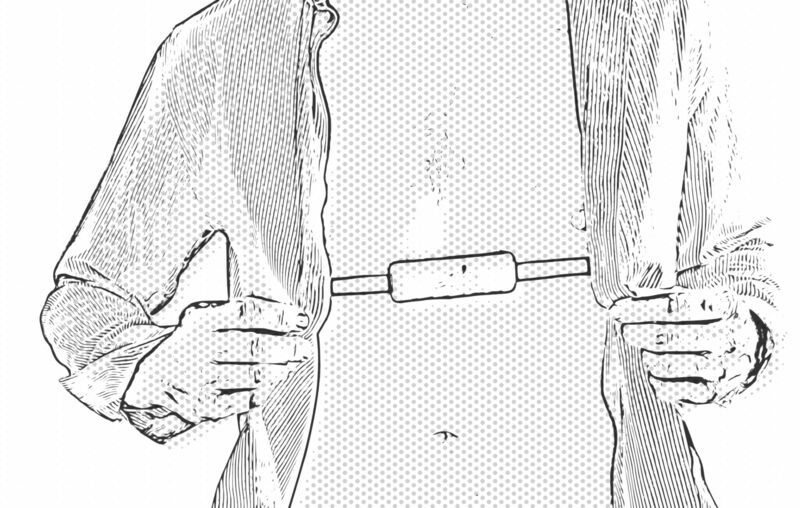 The belt vibrates whenever users do not use their full diaphragm to breathe or speak too fast during the day, so new correct habits are built. Record performance history and set targets to make your learning experience more gentle or insistent. Respira is a wearable breathing, heart-rate and speech monitoring device to help people who stutter gain fluency. 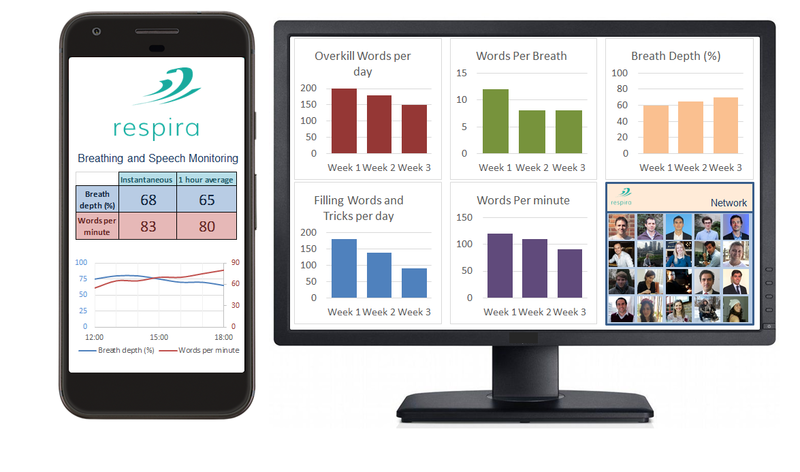 Respira provides real-time feedback on the user’s breathing and speaking patterns to reinforce behaviours that can reduce the probability of stuttering. Performance history is recorded so the users can track their habits and Improved fluency. In addition, anonymous information will be collected on a discretionary basis, to enable broader statistical research on stuttering and its causes. Although there are no theories to fully explain the reasons behind chronic stuttering, there are many demonstrated psychological and cognitive practices that have been shown to help people who stutter (PWS) gain fluency. These practices are taught in recognised courses for PWS worldwide, and include (but are not limited to) breathing with the diaphragm, limiting the words spoken per breath (between 3 and 5), and acceptance of oneself as a PWS. 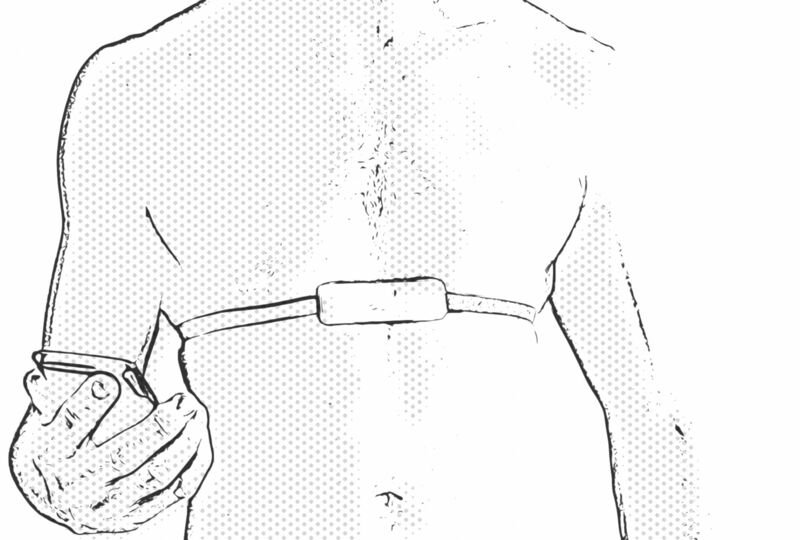 Our prototype, Respira, helps PWS to acquire and consolidate all of these habits using a single wearable device. 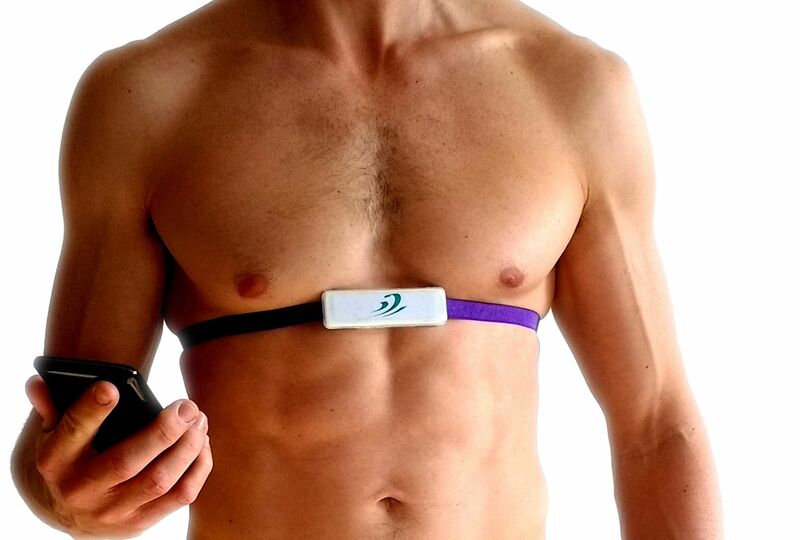 Respira conducts physiological measurements and performs analysis in real time, allowing it to gently coach the user to develop positive habits. With the rise of the IoT and wearable technologies, we are not only able to reshape breathing and speaking habits, but can also record and analyse the physiological data and speaking tempo of PWS. This provides valuable real-time information for the user to improve their fluency and the scope for fundamental health science (in order to understand and control the mechanisms of chronic stuttering). Respira is the first hardware product of its kind. 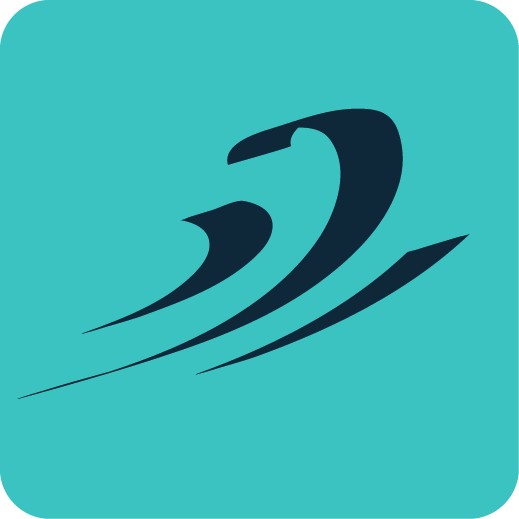 Its main innovation resides in integrating the latest research on stuttering into an affordable device. Speaking at the right speed and breathing correctly are practices that have to be reinforced at all times until they become habits. Unfortunately, this requires considerable discipline since people who stutter learn to speak through many years of bad practice. 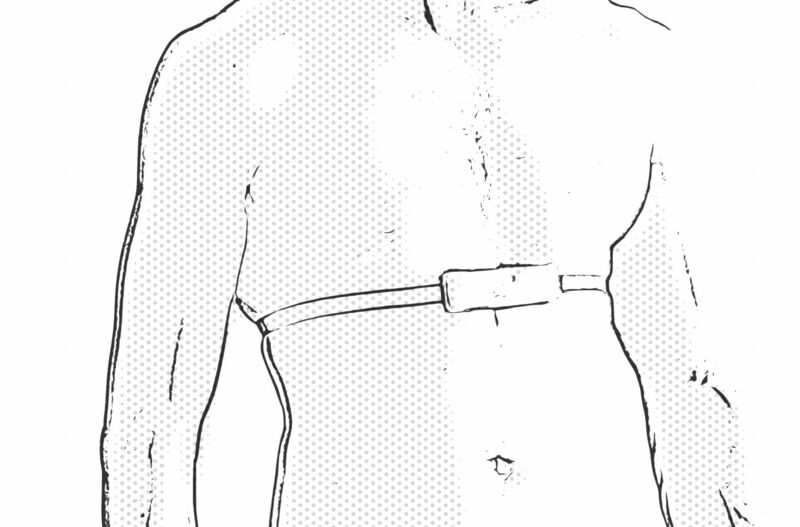 Real-time feedback is critical in order to acquire new breathing and pausing habits. People who stutter do not always stutter. As a result, they only tend to use new techniques in difficult speaking situations, outside of their comfort zone. However, these techniques are ineffective if only used when fear is high. This is precisely why it is important to always wear the Device, even in situations that are not critical. Our goal is to help people who stutter gain fluency and provide data to enable systematic research on stuttering.